Why We should Collect Traffic Count Data? Traffic data forms an integral part in the science of descriptive national economics and such knowledge is essential in drawing up a rational transport policy for movement of passengers and goods by both government and the private sectors. This guideline considers the fact that traffic flow data is important in planning of a particular section of the road network and for its subsequent maintenance. Traffic flow pattern appears to be random in distribution, as it reflects people’s motivation in terms of different composition of vehicles on different types of roads under varying environmental conditions. -Planning prioritization and project initiation. -When there is a programme of road widening and general improvement or there is a programme of construction and reconstruction of road. (i.e., strengthening of existing road). -To check the efficiency of the road network by comparing current traffic volume with the level of service or the calculated capacity. -To check the traffic volume, number of accidents and causes. -To plan the prioritization of roads improvement schemes. -To assess the economic benefits arising from the road improvements. -Assistance in planning new developments such as roads in a new town, subdivisions, land use which generally include shopping centers, hotels, commercial and industrial complexes, service stations and other traffic generators activities. -To study future traffic trends and predicting traffic flows in future for a given period. -To classify roads on their functional basis. -Assessment of pavement performance through traffic surveys and period monitoring of selected sections. -Design and improvement of existing/new junctions. -Investigation of various capacity and design problems for both roads, bridges and parking facilities. Top 10 Adsense Friendly & SEO Optimized Blogger Templates Blogspot :- The one of the top blogging platform for blogger provides a lot of flexibility to its fellow bloggers. It is easy for a newbie to start a blog on Blogger.com than wordpress. Blogspot being a part of Google helps its users in many ways like their blog easily get indexed on Google, provides free hosting and many more. Blogspot has many simple templates and you can use them freely. But if you need to use an attractive, SEO friendly, Responsive, and custom layout then you have to go for either premium or free templates available on other third party websites. 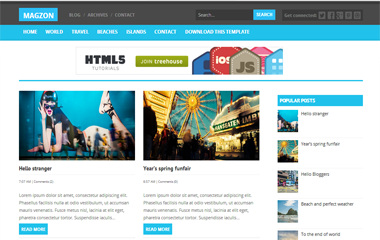 There are many template websites available on the internet that offers free as well as premium templates. 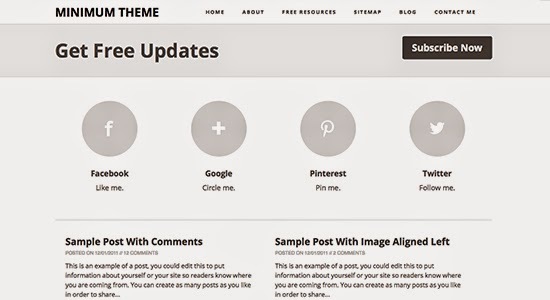 In this article, I have listed top 10 and best blogger templates that are adapted from wordpress themes. All these templates are responsive, SEO optimized and has attractive layout that makes your blog professional. But before using these templates, I recommend you to keep the footer credit links of their respective templates. 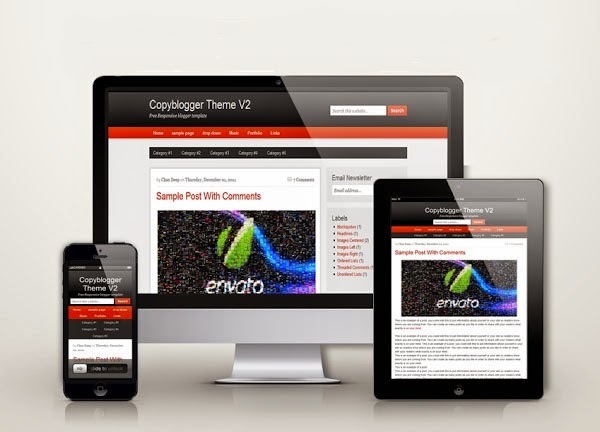 This is a free responsive blogger template adapted from wordpress. This has custom opt-in form on the homepage. It is clean, elegant, fast loading, seo optimized with threaded comment section. Along with these features, it also includes opt- in Email Subscription box in the sidebar, simple web navigation, a custom author box and customized heading. Max Mag is a responsive magazine and multimedia theme that has unlimited color available with sticky menu layout. It is suitable for advertisements and news contents. This template has got eye-friendly color scheme. I hope this template will surely fresh your reader's thought. It has many unique features like sticky menu with drop down, featured content area, ads spot, custom author bio box, and many more features. 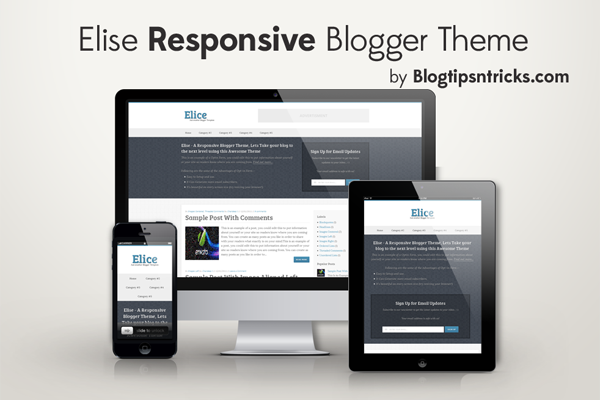 This is awesome responsive blogger template adapted from wordpress. This is clean, responsive, fast loading, two navigation menu, custom threaded comment section, floating navigation, attractive number page navigation, read more button, three column and many more. This template is designed by Chandeep from Blogtipsntricks. This is one of the best responsive template converted from Genesis theme. It is also reach in feature and its features includes responsive design, elegant and clean look, SEO optimized, Custom email subscription box, simple page navigation, drop down menu option, and custom search widget. 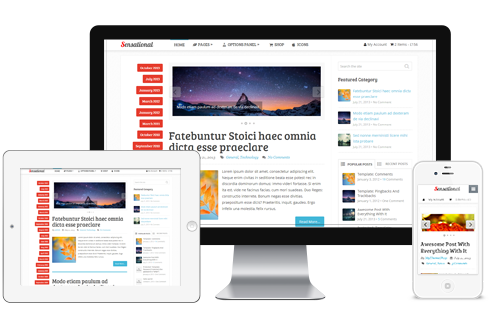 This is ideal for Magazine, blog and news websites. It is clean and elegant look design. This is flexible, easy to use, good navigation menu, Its main features include Auto Log, Fast loading, Colorful widget area, clean coded and SEO optimized. Magzon theme is designed by Templateify.com using HTML5 and CSS3 technique. 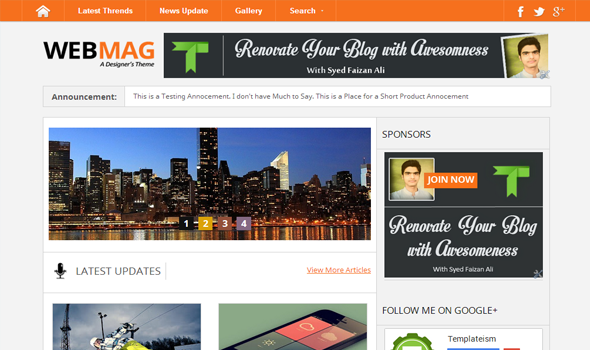 This is another responsive blogger template designed by Blogtipsntricks. It is converted from Genesis child theme. Its main features are custom home page, custom social profiles, custom button, opt-in subscribe form, threaded comment system, custom about me widget, 2 navigation menu, custom tables, customized heading tag and post page layout. This is robust magazine theme for Blogspot. It is efficient and highly customized layout. It has been designed using latest CSS3 and HTML 5 technique. It also includes custom social buttons, SEO friendly, Mega sticky Navigation bar, 2 column sidebar and orange color scheme etc. This is one of the best SEO and Adsense friendly blogger template. It is fully responsive, Post widget in footer, Top slider, Magazine type home page, custom social icons, wordpress like navigation, Horizontal navigation, Related post box and many more. 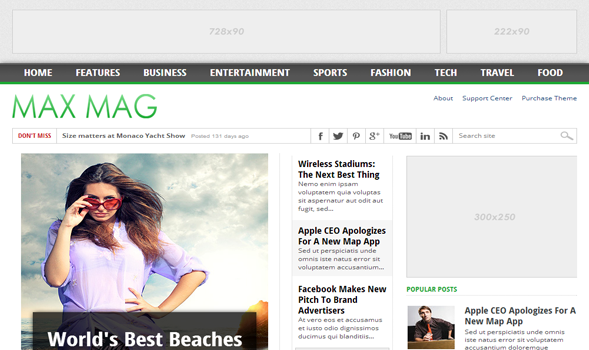 It also supports advertisement in sidebar and header. 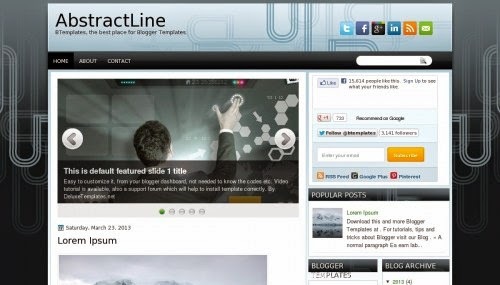 It is an awesome blogger template with featured slider. 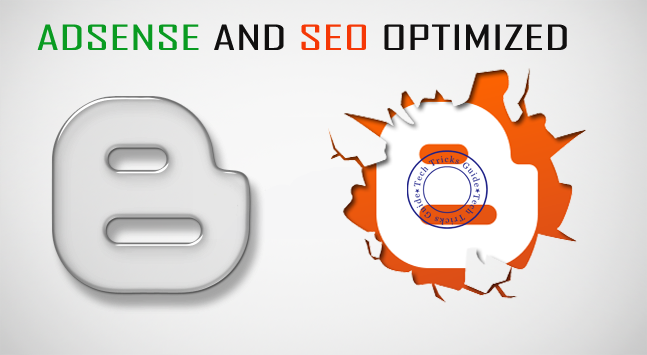 It is adsense and media optimized style layout. It has been designed as the traditional blog style. It looks like a wordpress theme. Custom social icon are placed at the header. I hope you liked these SEO and Adsense optimized blogger template. If you want to add other blogger template in this list, feel free to share with us through comment box. 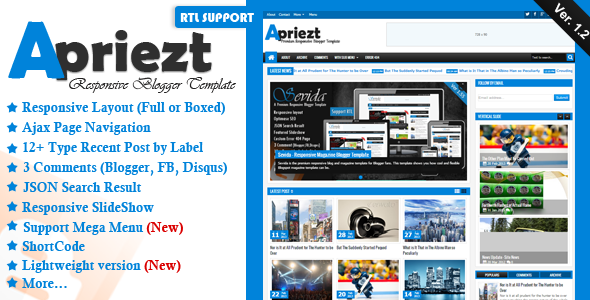 Like us on facebook and follow on twitter to get more blogger templates. Don't forget to share on social sites. Happy Blogging! Most of us have more than one account in a single website for different purposes. The reason for creating multiple account may be due to business use, personal uses and so on. 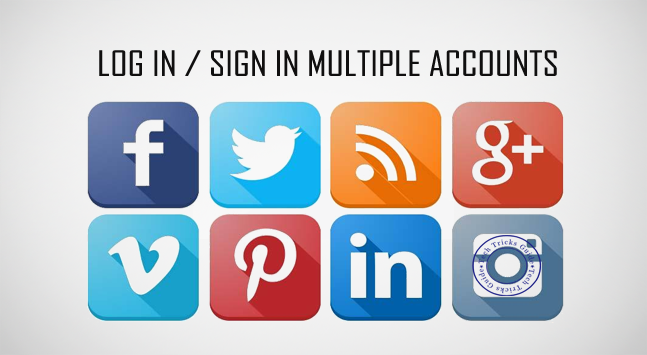 It is difficult to log in to multiple account at the same time in the same browser. How can we overcome this common problem? Is there any method to access multiple account at the same time in the same browser? Yes, there are many methods are available to access multiple account in a single web browser. Most of the methods are easy to use and few of them are limited to the number of account associated with a particular website. Incognito window is one of the best private and secure browser window available for almost all major browsers like Google Chrome, Firefox, Opera etc. To open incognito window in Google Chrome, go to "Custom and control Google chrome" at the top right corner" -> "New Incognito Window" as shown in the figure. Directly open Incognito Window by pressing "ctrl+shift+N". Then, a new window will appear and start visiting web pages and login. Using this method, you can access more than two account of same website like facebook, Gmail and many more at the same time. This method is simple but time consuming. As everyone knows, It is possible to access one account at a time in a web browser. In the similar way, open your other account in other browser and access your account. This method is easy but limited because of the availability of number of browser for PC. 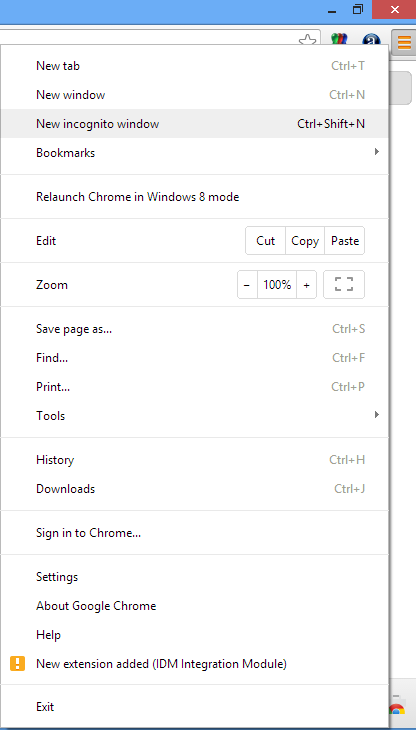 You can install 4-5-6 browsers in your PC that means, you can access up to 6 accounts at a time. But the problem is that, if you have more than six account and want to login all account at the same time, then this method will not work. So, let's move to the next method to overcome this problem. There is a chrome extension available for accessing multiple account at a same time without opening multiple browser or incognito window. 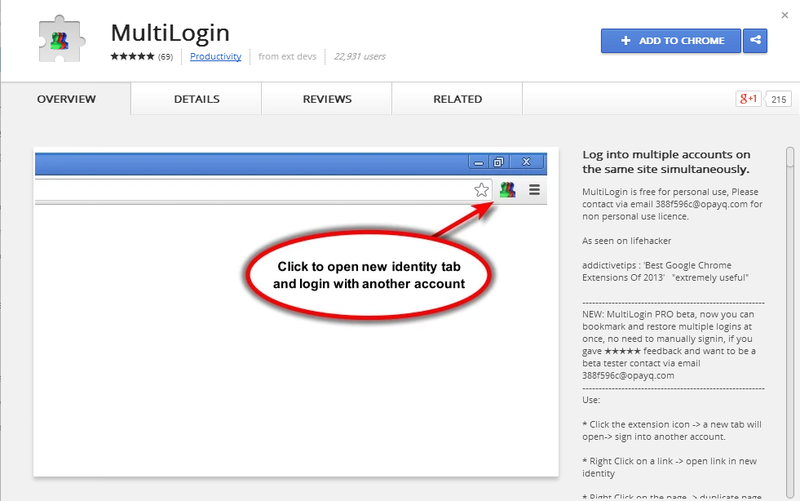 The name of chrome extension is "MultiLogin" or "New Identity" that let you to access or login to multiple account. This is most reliable and efficient way to save our valuable time. You can download this extension from Google web store and add this. Once it is added to your browser an icon will appears on top right corner of your browser. Click on that icon, a new tab will open and start log in whatever website you need. I recommend you to use this chrome extension. Google is the only website that provide a built in feature to log into multiple account at once. 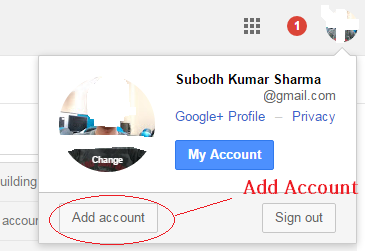 To use this method, log in to your account and then click on "Add account" as shown in the above figure. This feature let you to switch between multiple accounts by clicking on account name on Google home page. (a).When you log out of one account, all your accounts will automatically be logged out for your security purposes. (b).Only few Google products like Gmail, Youtube etc. supports this method (Multiple account log in Method) and others like Adesnse, Google drive does not support. I hope guys, you will surely enjoy this article and let me know the other simple and best method to access multiple account of a single website in the comment box given below. If you like this article then do not forget to share it with your friends on facebook timeline, Google Plus, Twitter and other popular social networking websites. Get connect with us on our largest official facebook fan page, twitter and Google Plus to get latest updates related to latest technology stuffs, android, tips and tricks and many more. 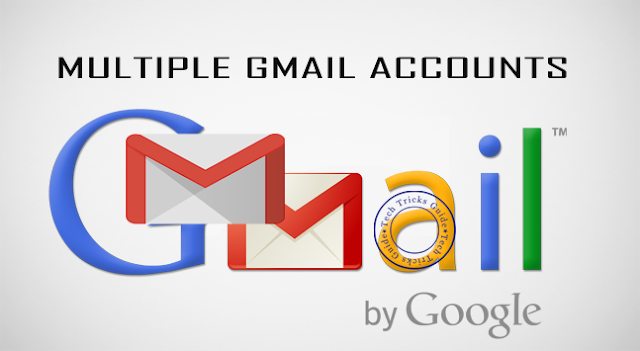 Hello guys, Today I will discuss on How to use multiple Gmail accounts in a single official Gmail App. I hope everyone has more than one Gmail account for different purposes. Maybe you have one Gmail account for general use and other for official use. But the main problem is that you are not able to use more than one account in single app?. Am I right? If yes then No need to worry at all. I am here to help you through this tutorial.So Let's start step by step. 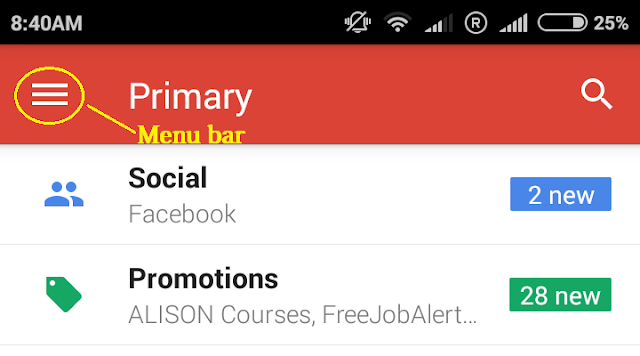 Follow these steps to add more than one Gmail username in single Gmail App. First of all, you have to download Official Gmail App from play store or from the link given below. Once the installation process is over, Open the app and click on menu icon as shown below. At the right side of your username, touch the Small arrow or Triangle to get the option. Click ON "Add Account" and select the type of account (Ex.- Google, Personal or Exchange) you want to add. And then follow the steps to complete. Now, You have successfully added your gmail accounts in Gmail App but you want to use all the accounts you have added. This can be done by switching manually from one account to another by following all the steps given below. At the left side, touch the Menu icon (three horizontal bars). At the right side of your username, touch the triangle. Select the Gmail account you need to use. That's it. If you have any problem, feel free to contact me via comment form given below. Please share this tutorial with your friends on Social sites like Facebook, twitter, Pinterest, Digg, Whatsapp etc. Have a nice day!!. How to completely remove OneDrive from Windows 10: Windows 10 is the latest version of Windows Operating System. In Windows 10, lots of new features have been added to make it comfortable. One Drive is one of the applications that has been integrated for file storage. OneDrive is Microsoft's cloud storage. This is the default option to store files as you can able to access your file from anywhere and you can not uninstall OneDrive directly from control panel in your Windows 10 PC. But if you don't want this service then what you will do?. You can either disable or uninstall OneDrive from your Windows 10 OS by following below steps. First of all, Open Run (Press Win Key + R) and type GPedit.msc and hit the enter key. A Group Policy Editor will open after pressing the Enter key. Here you will see a list of various policy arranged in folder-wise. 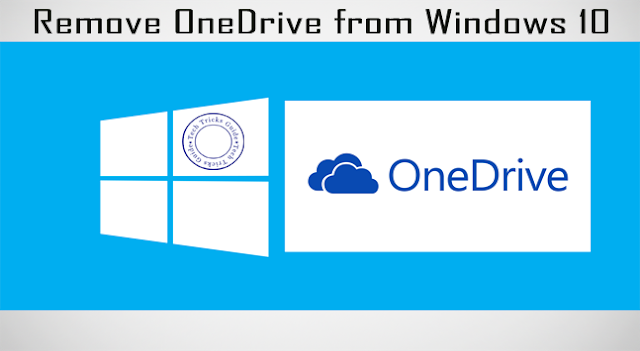 Here you need to disable usage of OneDrive . Note: In Home Version, you can't get Group Policy Editor, so you have to upgrade to Pro. Now, You have to go to Local Computer Policy -> Computer Configuration -> Administrative Template -> Windows Components -> One Drive. Once you reached to One Drive, you can see "Prevent the Usage of One Drive". Double click on it and Enable it. I hope this tutorial will be helpful to you. In case you are getting any problems then feel free to get in touch with us via the comment section below. Share this tutorial on Social Sites to help other. Have a nice Day!. Hello, Friends! Today I am going to show you how to disconnect internet of other connected on the same Wi-Fi network. In many cases, there is a possibility that none of your family members are using wi-fi but your wireless router's data LED is constantly blinking and your Internet data is continuously decreasing. This is a serious problem and you are suffering everyday. Are you worry about this problem? If yes, then no need to worry. This article lets you solve this problem. Constantly blinking data LED shows that someone (may be your neighbors) is using your wi-fi. If you want to know who is using your wi-fi then read this article and implement carefully. Netcut is a windows application also known as Wi-Fi killer for PC is used to disconnect users connected on the same Wi-Fi network. This is available for Windows 7, 8 and 8.1 only. The best thing about this is that it is available free of cost and small in size about 2 MB. This software can help you to admin your network like Wi-Fi. It shows Mac address, cut off any number of users in seconds. It supports Windows 7, 8 and 8.1. It also supports change MAC Address. It can detect the version available. Clone Mac address is also supported. Disable internet connection of any users on same wi-fi. It is a wireless tool. This article is for educational purposes only. You can use this tool on your local Wi-Fi network only. You are not allowed to use it on public wi-fi network like Network provided by Government, colleges etc. Once you have downloaded the file, Unpack the file and install it as a normal software. After completion of all the steps, run the WinPCap included in the same zip file. Now, you will be asked to restart your PC to complete the installation process. 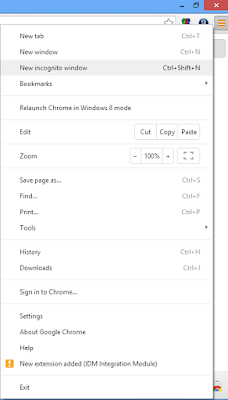 Now, Launch it by double click on the icon created on your desktop. 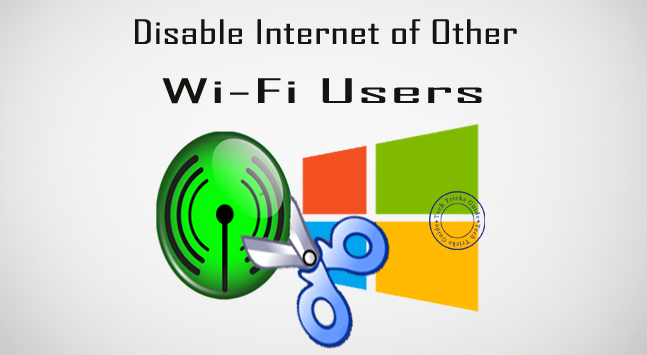 You will get windows where you will find a number of devices shown in Green color (like mobile phones, computers, laptops) connected to your wi-fi network. IP address, Mac Address and host names of that devices are also shown. Now, it’s time to disconnect the internet connectivity of unknown users on your wifi. Select any device that you want to disconnect and then click on the Cut off button at the top. Once you click on cut off button, that device will turn into red in color. You can also restore that device by selecting the device and click on Restore button. Tick on the Check box at the top that is showing Protect my computer. This is because you are no more vulnerable to NetCut attack. That means that no one can disconnect you using this tool installed on other PC. With this tool, you can also change the MAC address of other connected devices very easily. The devices having Netcut defender can’t be controlled by you. By changing your wi-fi network password will definitely help you. You can reset your router password by opening Router's admin dashboard and then change the mode to WEP, WPA or WPA2. Every device like your computer, laptop, tablets, mobile phones etc. have a unique MAC Address. By listing known MAC address in the Wireless Mac Filter section under Router's dashboard will help you to filter unknown users. In this way, you can secure your WI-Fi network. That's it. Have a nice day to you!!. If you liked it, share it on facebook, twitter, and other social sites. 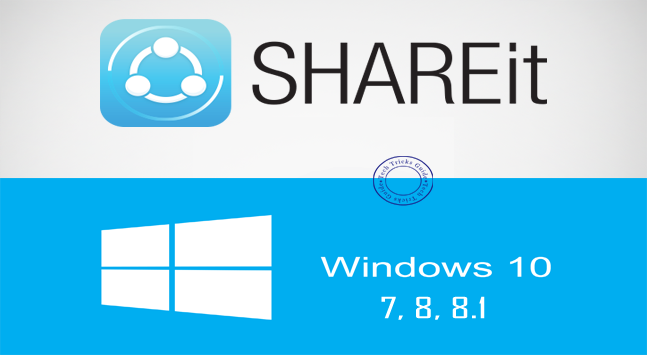 SHAREit for PC Free Download Windows 7/8/8.1/10 & Mac: Hi Guys!, Today I am going to share one of the best android app that is used to share any file within fraction of time from one device to another. Before introducing this android app with you I want to know how you people are sharing files like images, pdf, videos from one device to another. Your answer might be data cable, Bluetooth or USB. Am I right? Through USB, Data cables or Bluetooth, we can transfer files from one to another device but it will take some time. In this tutorial, I am going to provide one of the best android apps for transferring data that is SHAREit. 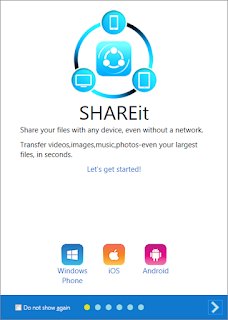 Shareit is an android application that is used to transfer data from one device to another. It is developed by Lenovo Corp. 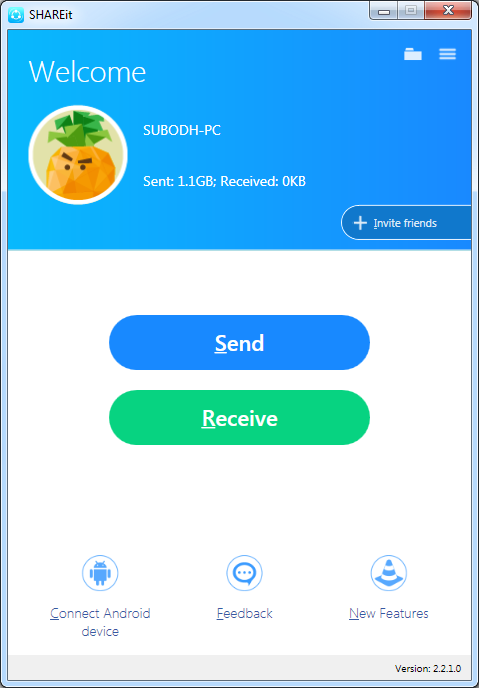 Initially, It was available for Android devices but now you can able to use this app on your PC. This app transfers data 40 times faster than Bluetooth. Hence, it reduces your time. It supports all major media files like video, audio, documents, images and apps. As compared to Bluetooth, it is 40 times faster. Within its range, it can find devices very quickly. Good interface and easy to use the app. Group sharing with a maximum of five devices at a time. Once your download is complete, double-click on the Exe file. Follow all the instructions to complete the installation process. Now on your desktop, SHAREit shortcut is created, just double click to open it. You will get Send and Receive option as shown in the below image. Now Send any file using Send button and Receive any file using Receive button within its range. With this two buttons, your device automatically detects other devices. This is the most popular way to use any android apps on PC or Laptop. For this method, you must have an android emulator like Bluestacks app player, Youwave etc. But Bluestacks apps player is most recommended emulator among all. First of all download Bluestacks App Player from the official website. Install it and open once installation is completed. Now type shareit on the search bar and hit the enter key. 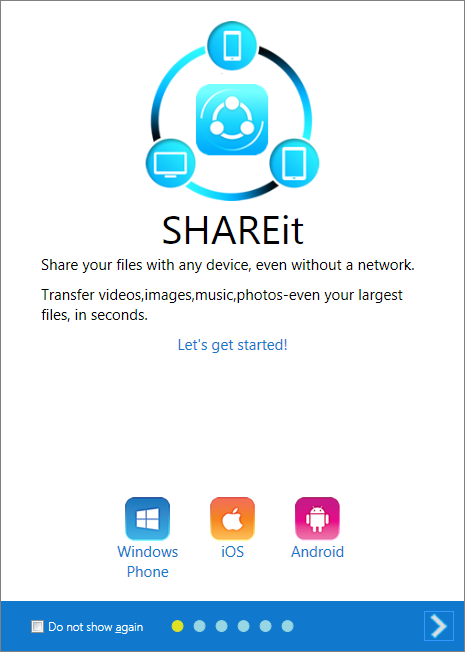 Now you will find shareit app, just click on install and start sharing any media files. I hope you will like this android application. If you know any android apps which is better than share it then share it with us through the comment section below. Share this tutorial on social sites to help others and follow on twitter and facebook to get latest updates from us. Have a wonderful day to You.